The Movie Park Germany is a theme park with real movie studios in Bottrop-Kirchhellen. It consists of 6 areas based on the topic “fascination film”. The park was opened in June 1996 as “Warner Bros. Movie World Germany” on the former location of the “Traumlandpark” amusement park, which had already replaced an earlier attraction called “Märchenwald”. 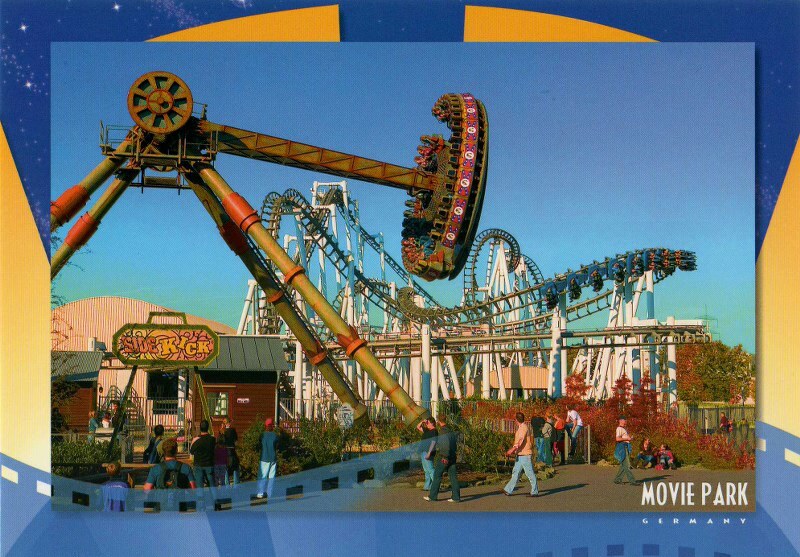 During the time from 1992 to 1993, a short lived theme park called “Bavaria Filmpark” existed in this location as well. The laying of the cornerstone was in May 1994. At the end of 1999, Warner Bros. sold the park to Premier Parks (now Six Flags). 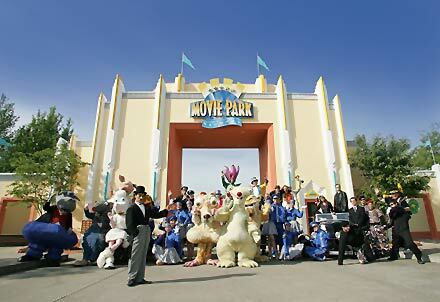 Premier Parks continued to license the Warner Bros. Movie World name. In 2004, the park was acquired by StarParks, a sub-group of Palamon Capital. This led to the name of the park being changed into “Movie Park Germany” in 2005, with the Warner Bros. theming removed from the park and replaced by newer themes from 20th Century Fox, MGM, and Nickelodeon. In 2010, Parques Reunidos bought the park from Palamon Capital. No changes to the park’s name or theming occurred. This entry was posted in Amusement Parks and tagged "Bavaria Filmpark", "fascination film"., "Märchenwald", "Traumlandpark", "Warner Bros. Movie World Germany", architecture, Bottrop-Kirchhellen, Europa-Park, Germany, movie studios, Palamon Capital, Parques Reunidos, Premier Parks, StarParks, The Movie Park Germany, theme park, Warner Bros.. Bookmark the permalink.